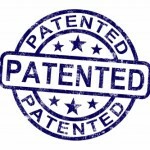 This past March, patent law made an important shift that all entreps should be aware of. The new system is known as “first-to-file” which means patents go to the first entity to file an application. In the past, if you could prove that you were the first to invent the product, you were awarded a patent. Additionally, patents will be judged against international inventions, not just those created in the US.